120 Volts | 1,500 Watts | 4,400BTU Heater w/ Fan. Floating on-screen LED display allows you to view temperature settings and functions easily. Different presets of ambient lighting color combinations contained in the unit and option for personalized color setting. 30min/8hr sleep timer as well as a child lock. Eco Setting. 2Yr Ltd Manufacturer’s Warranty. 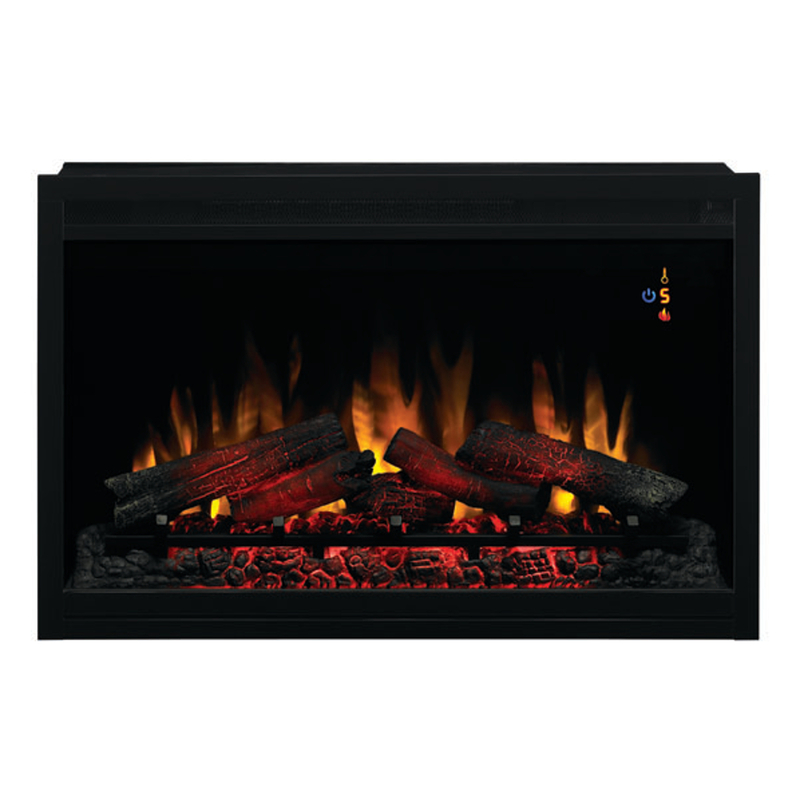 The Classic Flame 36-Inch 36EB110-GRT 120V Traditional Builders Box Electric Fireplace features a traditional logset with a multi-function remote control. Fixed tempered glass panel helps to give the look of a built in fireplace. Total surround flange allows for flush mounting to finished wall surfaces. An integrated junction box comes with the unit for hard-wire applications. The onscreen function indicator lights up when operated, to display temperature, brightness settings, heater function and the electronic timer function. The insert can warm a room up to 400 sq. ft. and can be used with or without heat for all season enjoyment.